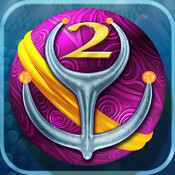 As the sequel and spiritual successor to the original Sparkle iOS game, is Sparkle 2 more of the same or another blast of fun? It’s time to dust off the Slinger and find out. Though the gameplay is simple, there is an apparent plotline looming in the background, pushing you to march onwards. Long ago, five enchanted keys were created and it was said that, when combined, they unlocked something of great value. Due to this, the keys were scattered across the land. Throughout time, many have looked for the keys and none have succeeded. 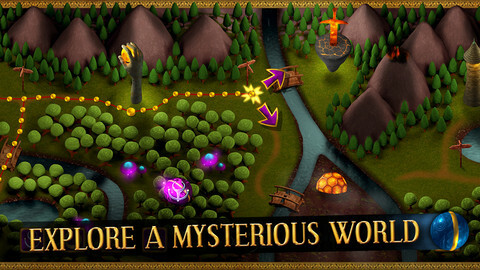 Being the player, it is naturally your destiny to find the five keys of legend and claim your prize, without losing your soul to the obsession of a pointless quest. Though there is a dark plotline present, there is a fair amount of gameplay and story segregation within Sparkle 2. You control the Slinger, simply tap an area to fire the coloured marble currently loaded, match up groups of three and they disappear. You are also given the option of swapping the current marble with the one behind it, this is where the strategy begins. Occasionally the marble you are given is of little help as the cascade of colour flows towards the end of the course, and therefore the end of the level. 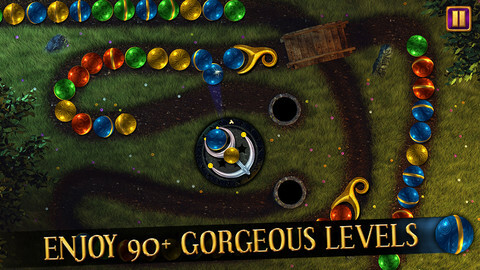 As the game progresses, the tracks get more complicated, twisting around each other and even moving on different heights. As the marbles move in front of each other, it becomes harder to match up pairs as your options are slowly but surely blocked, giving you less time to make even more decisions. Where would a game be without powerups? For every third or so combo, the game produces a powerup relic. These range from altering the colour of the remaining marbles, to a supercharged blast that decimates everything in its path. These powerups are a great help during the levels and as the game progresses, they pretty much become necessary to win. As you complete more levels, another type of powerup is unlocked. These “Enchantments” provide a number of functions from acting as upgrades to the Slinger itself, altering the difficulty of courses and even unlocking other features, such as the classic Survival Mode. 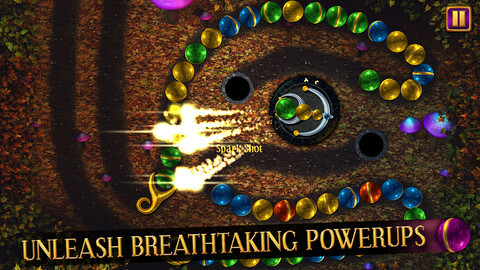 Sparkle 2 definitely has a contrast in its visuals. The background and overall theme of the world is dark. 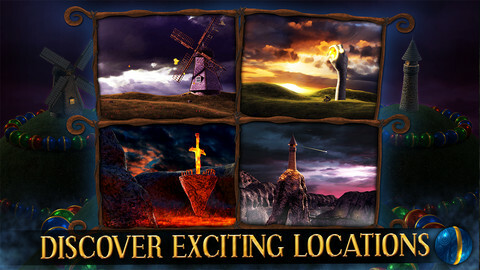 The game plays out along the trails of a shadowy forest, locked in night and home to abandoned windmills and statues that reach out to the sky (literally, it’s a statue of an arm). Amidst the perils of this dangerous world are your key to survival, brightly coloured marbles that explode into pretty sparkles. The blue, red, green and yellow onslaught of colour that rolls across the brown, blacks and dark greens of the background are a definite contrast. The overworld theme music has an almost majestic quality to it, adding to the mystical purpose of your marble matching journey. During the levels themselves, the soundtrack has a definite fairy tale feel to it, though more upbeat than the overworld theme. Both pieces of music create a unique feeling, somewhere between innocent fun and looming danger. At certain points during the game, when receiving a key, a single frame “cutscene” appears complete with foreboding narration by an ominous deep voiced man. Sparkle 2 is a great iOS game. It’s relatively simple and a whole lot of fun to play. Though the storyline is not really important, the game likes to constantly remind you that there is one. Although it is somewhat unnecessary, in the end it doesn’t take away from the gameplay and that’s what matters most. All in all it’s a fun iOS game and a great way to lose time, playing for way longer than you may set out to.